If you’re looking for the best heated dog beds, you definitely need to check out our top 15 picks. Even the best dog blankets aren’t enough to keep your pooch warm on those really cold nights! This is especially true if your dog is staying outside most of the time (in which case you’ll also want to find the best winter dog house). Heated dog beds can help your dog stay warm at all times, both indoors and outside, so let’s take a look at some of the best options you can find on the market. Which Dogs Need Heated Beds? Many people are concerned when it comes to heated dog bed safety since most heated dog beds use electricity. I understand this concern since I felt the same way the first time when I bought a heated bed for my pooch. However, there is no reason to fear heated dog beds. The only thing you should be aware of is the cord. Some beds are wireless, but some have cords and you should always make sure that those cords are chew proof. There are also heated dog beds that don’t use electricity at all but are instead made of materials that use dog’s own body heat to become and stay warm. I love these self-warming pet beds, although they are less effective than electric ones. If you live in an area with particularly cold winters, like I do, having a heated bed for your pooch is a smart decision. Of course, breeds like Huskies, Malamutes or Samoyeds can easily withstand cold and don’t really need heated beds. On the other hand, short-haired and small breeds need any help they can get when temperatures get low. 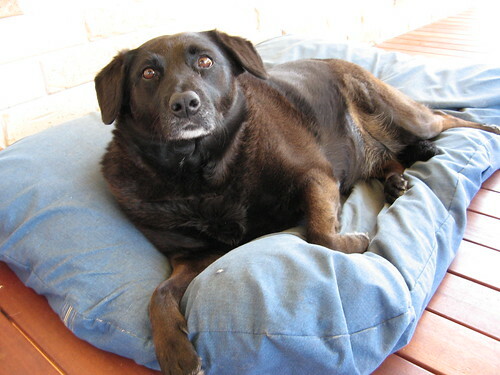 Also, heated dog beds are particularly beneficial for puppies and especially for senior dogs with arthritis. In fact, heat therapy for senior dogs can help them relieve pain in the joints and relax stiff muscles. The Heating Element – As I already mentioned, some heated dog beds are electric, others are controlled by natural thermostatic heat and they get warm using your dog’s body heat. Self-warming bed can be safer, especially if you have a chewer, but it will also be less effective than an electrically heated dog bed. Size – Consider the size of your dog when you choose his bed, but also the size of the space where you plan to put the bed. I once made a mistake and ended up with a bed that was too large for my dog’s crate. Style – The style of sleeping your pooch has should determine the style of the bed. Dogs that like to sleep stretched out prefer flat beds that resemble a mattress, while dogs that like to curl up while they sleep like bolstered beds. Additional Features – Do you need a bed you can move from place to place with ease? Or a waterproof bed? If you need a bed to put outdoors, it should be resistant to mold and mildew. Take your specific situation into consideration and look for the features that suit you the best. I, for example, always buy waterproof beds because my dog is incontinent and accidents are a common occurrence. Price – The price tag is not the first thing you should look at, but it is a thing that you must take into account. There are many high-quality beds that are also affordable and I will try to provide you with the best options in this article. So, let’s now take a look at some of the best-heated dog beds. Take a peek at all of the best heated dog beds and their major pros and cons, then read on for more details about each one! Let’s start things off with the best self-warmers, then we’ll look at some electric dog bed options. If you are concerned with safety or the electrical bill that comes with electric dog beds, the next best choice to keep your pooch warm are self-warming dog beds. These beds feature thermo-reflective materials and use your dog’s body heat to keep him cozy and warm. Although I personally prefer electric dog beds since they are more effective, self-warming dog beds are also a good choice. 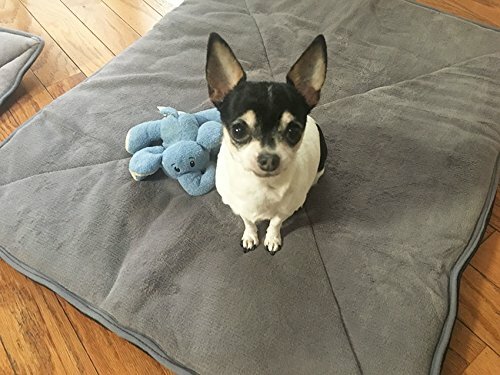 Here are some of my self-warming pet bed reviews. This bed uses heat-reflecting technology. That means that there is a special interior layer that reflects your dog’s body heat and provides the warmth that way. The bed is very lightweight and portable. You can wash it by hand to keep it fresh. There is also a non-skid bottom that keeps the bed in place. Aspen Pet Self Warming Beds come in different shapes and sizes so you can choose the one that perfectly fits your pooch. For example, you can choose between rectangular lounger and pillow-shaped bed. However, the choice is limited when it comes to the color of the bed. Also, even though you can choose from four different sizes, all of them are suitable for small dog breeds only and for cats. This bed is very affordable, but that does come with certain downsides. For one, I hate the sound that it makes when my dog climbs on it or moves around. Also, this bed is not very durable and it can sometimes feel wobbly since it is overstuffed at the bottom. This is another self-warming bed that radiates heat back to the source without using electricity thanks to its unique 2-layer fabric. The K&H Self-Warming Lounge Sleeper is a very comfortable and stylish bed, although it does only come in two sizes and colors. The bed has elevated sides, or bolsters, which provide an additional resting place for your pooch. The sleeping surface is very soft, but it is also durable. The stuffing for both the bottom and the sides is made from eco-friendly polyfill, i.e. from recycled materials. You can wash the entire bed in your machine. Use the gentle cycle with cold water when you do it and line-dry it afterward. You can also use the no-heat cycle on your dryer for this purpose. I love how easy this bed is to clean and maintain. This bed is pretty original in design and I adore the way it looks. What’s even better, you can choose one of many different options when it comes to color to personalize this bed exactly the way you want. However, it is unfortunately only available in one size. It is primarily made for cats since this bed has dimensions of 17 x 13 x 12″, so don’t expect this bed to fit unless you have a very small dog. Best Friends by Sheri Pet Igloo Hut is shaped like an igloo and provides complete, 360-degree coverage. This, along with the self-warming Sherpa fabric, provides a warm and cozy environment for your pooch. The bed is very lightweight and portable. It even features a roof handle that allows you to move it around easily. The bottom of the bed, or igloo, is waterproof and resistant to dirt. It is also machine washable and easy to clean. You can dry it in your dryer as well. One thing I don’t like about this bed is the fact that the walls are not as stable as I would like. That can give the impression that the bed is smaller than it really is and some dogs might feel a bit claustrophobic in it. Tandem cave sleeping on this rainy day. Snoozer Cozy Dog Cave is another stylish bed perfect for dogs that like to burrow under the blankets. It comes in three different sizes and multiple colors, which means that it can easily fit in with your interior. I especially like how easy to clean this bed is. It has a machine washable cover you can unzip in a matter of seconds. The faux-lambskin interior of this self-warming bed is great for aging or senior dogs since it provides the comfort and warmth to keep their pain at bay. One thing that this bed is painfully lacking is a non-slip bottom. Considering the price of the bed, I expected this feature to keep the bed stable and was a bit disappointed since it was missing. Also, you should consider purchasing the version of this bed that is oversized. That way you can make sure that your dog will have enough room to burrow himself inside. If you are looking for an unassuming self-heating dog bed that will blend in with any décor, American Kennel Club Self-Heating Solid Pet Bed is a good choice. With reflective foil, this bed is able to redirect your dog’s body heat back to him instantly. The bed has a very durable plush and foam backing and a quilted sleeping area to provide comfort in addition to warmth. The small edges that look like bolsters provide a place where your pooch can lay his head. On the bottom, the non-skid material provides stability and keeps the bed firmly in place. The entire bed is machine washable but make sure to do it with cold water. Unfortunately, this bed is only available in two very small sizes – 22 x 18 inches and 26 x 18 inches. However, you can choose from a wide variety of different colors. If you are looking for a more effective solution than self-warming dog beds, electric beds are the thing you are looking for. I actually prefer them over self-warming beds because my dog is old and needs as much warmth as possible. 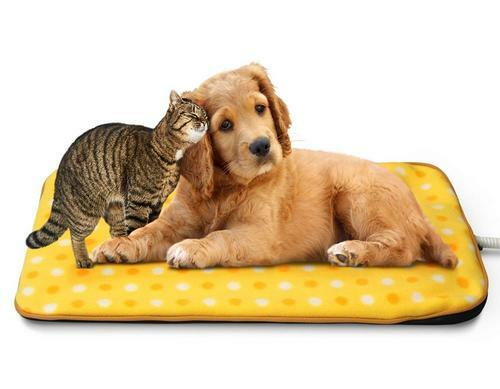 The K&H Thermo-Pet Cuddle Cushion is a very appealing heated dog bed. It has a built-in dual thermostat heater that uses only 4 watts to work. It is filled with a comfortable polyfill and provides enough warmth to keep your pooch cozy even in the coldest temperatures. Removable cushion and heater allow you to easily wash the bed. One thing that I don’t like about this bed is the fact that it only comes in one size (medium) and one color. The affordable price somewhat compensates for this lack of variety. The most important feature is, of course, the heater that automatically heats up to 100.4 Fahrenheit (38° Celsius). Due to the low wattage of the heater, this bed is eco-friendly and energy efficient. The bed is safe by MET Laboratories standards. If you are looking for a heated dog bed Amazon has a lot of great options. One of them is this sweet little thing with a unique design. 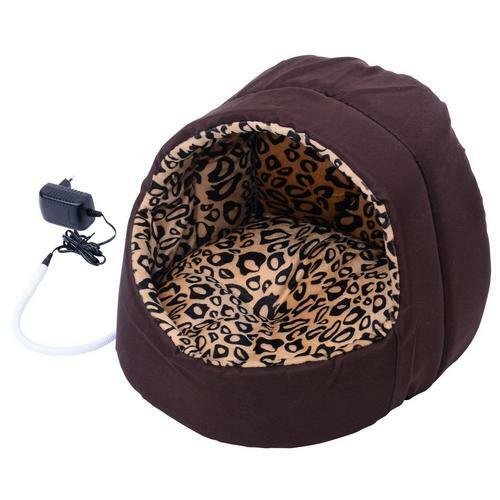 PawHut Electric Heated Pet Bed is a very stylish bed, but it is only available in one size and color, which is truly a shame. 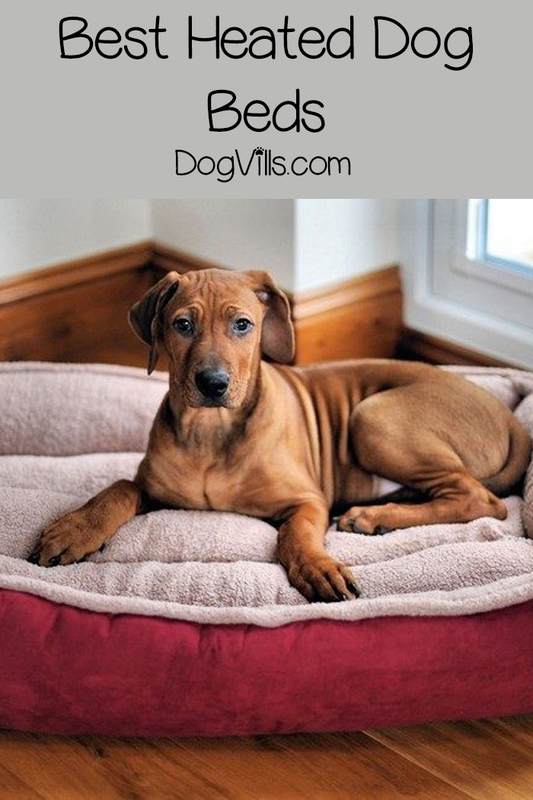 The dimensions of this bed are 13.4″L x 13.4″W x 11.8”, which means that it is only suitable for small breeds. 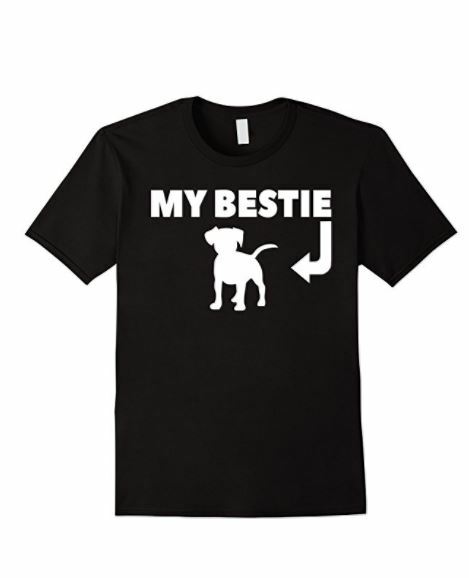 It is perfect for one of the 10 best dog breeds weighing less than 20 pounds. You can remove the heater and the pad, which you can wash in your machine. One thing that I don’t really like about this bed is the fact that the hoodie is not very stable. This may discourage your pooch from using the bed. This is one of my favorite dog beds with electric heating element. I truly believe it is one of the best options on the market. K&H Pet Products Thermo-Snuggly Sleeper is stylish, comfortable and warm. The dual thermostat is internal and energy efficient using just 6 watts. You can leave the heater plugged in all the time since this bed is designed for non-stop operation. You can remove both heater and cushion. The cushion and cover are both machine washable, with cold water on the gentle cycle. You can either line-dry them or use a dryer – just make sure to use the no-heat setting. The bed comes in two sizes, medium and large. However, you can only get it in one color. One thing that I don’t like about this bed is the durability of the heater. It doesn’t last as long as I expected it but that may just be my experience since the bed has great reviews. 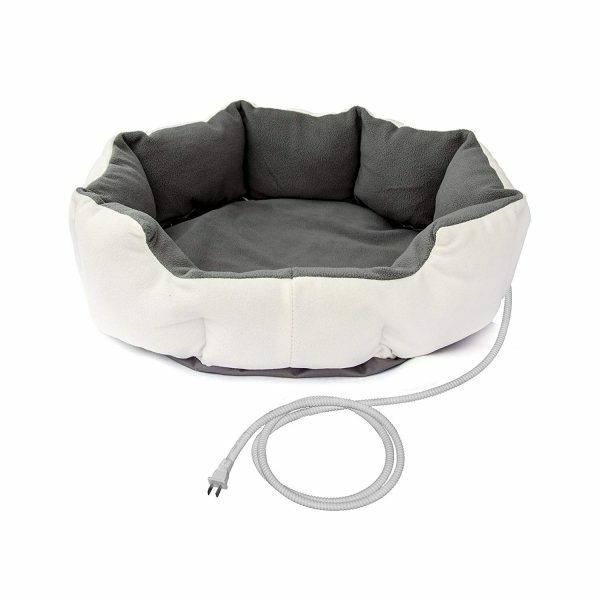 The ALEKO Electric Pet Bed is a nice-looking, octagonal bed. This bed has an internal heating element that provides warmth to your pooch at any time. It has a self-regulating thermostat, so you don’t have to worry about setting the temperature or monitoring it. This bed is also very cozy and comfortable thanks to the soft sleeping surface and well-stuffed bolsters which also provide additional security. You can only get this bed in one size and color and I for one am really bummed about it since I would love to see this bed in blue. The dimensions of the bed are 19 x 19 x 7 inches. One thing that particularly makes this bed so great is the fact that it is water resistant, which is not often the case with heated dog beds. Also, it is very important to note the chew-resistant power cord. This is another product from K&H on my list but it is a very unique bed because it is meant to be used outdoors. That separates it from all the other beds so far on my list and if you have a dog who spends a lot of time outside, K&H Lectro-Soft Outdoor Heated Bed with Bolster should be your choice. Even though it is not very stylish, at least not for my taste, it is still better-looking that many outdoor dog beds. Unfortunately, it is only available in one color, but you can get this bed in three different sizes. The bed is made from durable nylon. An automatic thermostat controls the heater and gets the temperature up to your dog’s preference. You can remove the heater and cover and machine wash this bed. The cord is steel-wrapped for safety. 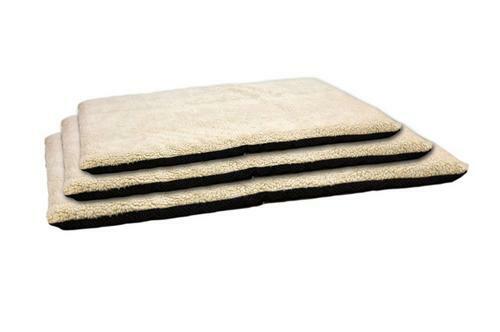 Heated mats and pads can be as effective as heated dog beds, but they are often cheaper. Of course, they are not as stylish as beds but there are some very interesting options out there. I will review my favorites. Although this product is officially a bed, it is hard to look at it as anything more than a pad. It’s bland appearance and thing filling are a proof of that. However, K&H Pet Products Ortho Thermo-Bed a great product nonetheless. You can use this pad indoors or put it in your dog’s house or crate. This product is available in three different sizes, the largest one being roughly 33 inches wide by 43 inches long. You can also get it in two colors. Even though this pad does look thin, it comes with two layers of orthopedic foam and it is extremely comfortable. The cover is made from fleece, while the bottom is made from a slip-resistant material. The heater uses a dual thermostatic control. 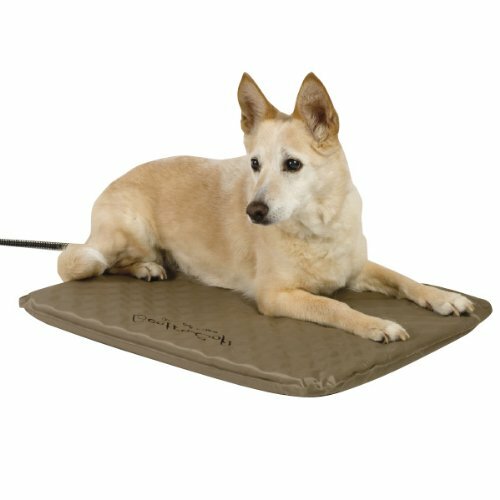 This mat is made from a durable ABS plastic and has a thermostatically controlled heater that heats up to your dog’s normal body temperature. Farm Innovators Heated Pet Mat is rather dull-looking. The simple design is further dulled by the lack of color options. On the other side, I like the fact that you can choose from multiple sizes. The mat comes with a heavy-duty cord protector that prevents chewers from getting exposed to electricity. It is resistant to weather conditions, which makes it a perfect choice for both indoor and outdoor use. With the mat you get a Faux lambskin fleece cover. One thing I must point out – don’t use this bed on anything other than hard surfaces. It heats quickly and putting it on a rug or sofa can cause overheating. This mat provides a rare instance in which I like the look of a pad or a mat. I really, really like the appearance of Pet Magasin Thermal Self-Heated Bed but I still have to point out that you can only get it in one color. You can, however, choose between medium and large size and you will get an additional small mat. The top cover is made of velvet to provide comfortable, smooth surface for your pooch to sleep on, while the ase is made of non-skid rubber. The pad is very soft as well. This pad is self-warming and includes a layer of mylar film. Mylar film is an insulating material that reflects your dog’s body heat and provides warmth at all times. This is a colorful pad that stands out, especially if you choose the yellow version of the pad. There are two more choices, white and white fluffy. Also, Fluffy Paws Indoor Pet Bed Warmer comes in three different sizes. You can use this pad as a bed warmer but it can also stand on its own since it has a skid-proof coating on the bottom. It also comes with a soft fleece cover that provides additional comfort for your pooch. However, the pad itself is not very comfortable. The pad is water resistant and the cover is machine washable. You can choose from two heat settings. The heater is not as energy efficient as some other from my list, but it isn’t that bad either since it uses 34 watts of electricity. This is another pad made primarily for outdoor use. K&H Lectro-Soft Outdoor Heated Bed is a rugged pad with a fleece cover you can get in three different sizes. The pad is made from orthopedic foam and your pooch will love the comfort and support it provides. The fleece cover is machine washable. You can clean the plastic cover with just a sponge and a bit of water. However, make sure that the pad is completely dry before you turn it back on. The Lectro-Soft pad uses an energy efficient, thermostatically controlled heater which never exceeds your dog’s body temperature. Keeping your pooch warm at all times is very important and these heated dog beds are the perfect way to achieve this. I hope that you liked my choices. If you have any questions or suggestions, feel free to leave a comment! Do you have any different picks for the best heated dog beds? Tell us below!